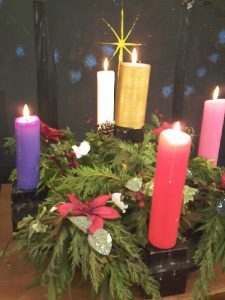 Nearly thirty people have been involved in an exploration of Advent themes over the course of four weeks. 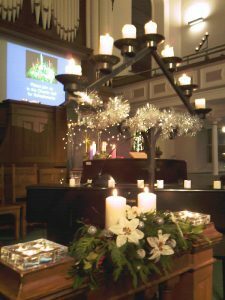 So often this time of year can be so full of frenzied activity, that it can leave us feeling as though something was missing. 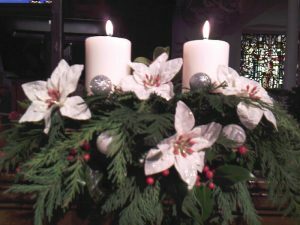 This year, we decided to set aside a little time each day as an intentional preparation for the celebration of Christmas. 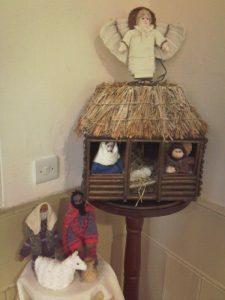 We have been reading a book, “Advent for Everyone: A Journey Through Matthew”, and reflecting on the meaning of Christ’s coming into our world. It has been a time for watching and waiting, a time for repentance, a time for healing, and a time for love. 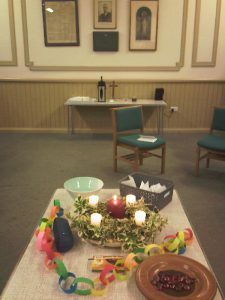 Each Thursday evening, as many of us as could do so have come together for a short time of worship and sharing some reflections on our reading. 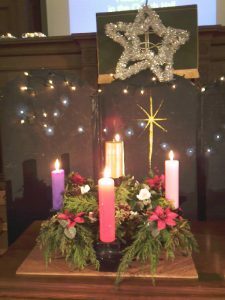 We have enjoyed our time of fellowship together, making Advent and Christmas more meaningful. 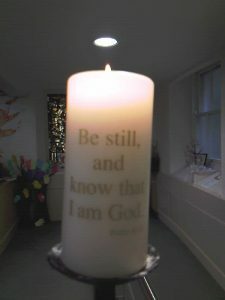 We have reflected on our need to make ourselves ready for Christ, to reorientate our lives, to focus on God and be clear where our priorities lie. Jesus was not the Messiah many expected, and it is not easy to follow faithfully, but it brings the blessings of playing our part in the kingdom of God. Once again friends of St Columba’s have been busy packing shoeboxes to send to children in poor countries for Christmas. 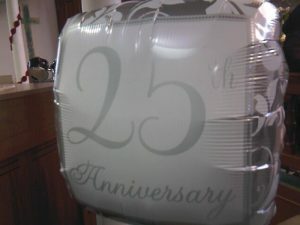 It is now 25 years since Operation Christmas Child has been run by Christian international relief charity, Samaritan’s Purse, and we celebrated in our morning service on Sunday 18 November with balloons. 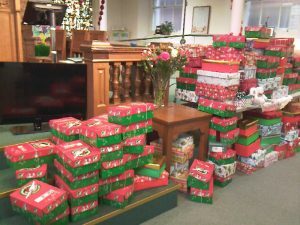 Some one hundred and seventy-one shoeboxes were brought to church, filled with such items as hats and gloves, toothpaste and toothbrushes, toys, paper and pens, sweets and whistles. 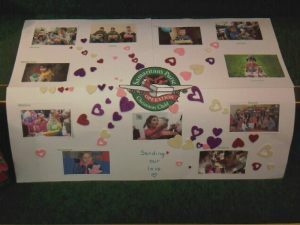 We watched a couple of short videos showing shoeboxes being delivered to children in previous years, and our own children in Junior Church made a posters showing some of the places that shoeboxes would go. 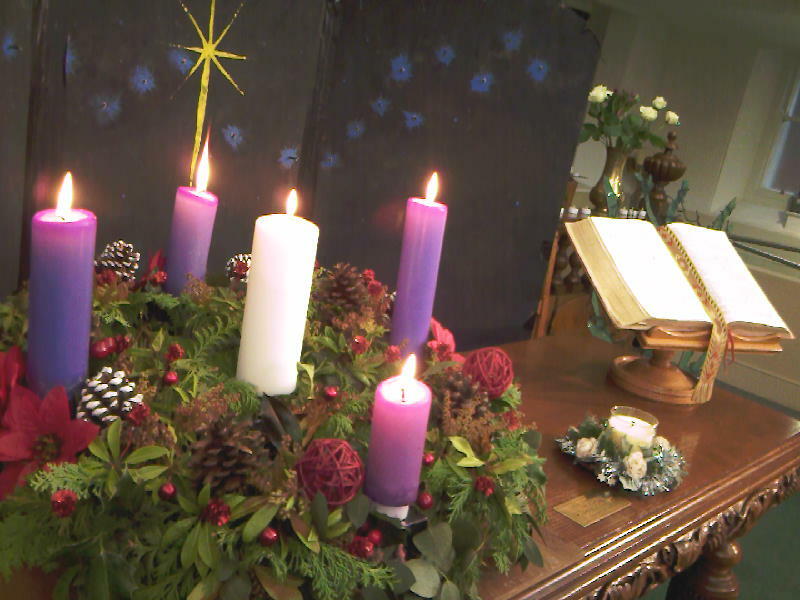 On Christmas Eve, the candlelit church was packed, with a good number in the gallery. 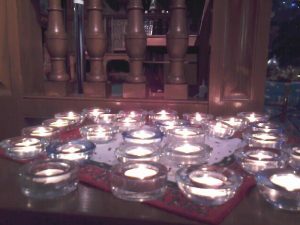 We enjoyed a service of Christmas carols, readings, prayers and reflections, with many of our young people and some our seniors taking part. A collection was taken for a local charity, the East End Youth & Community Centre. 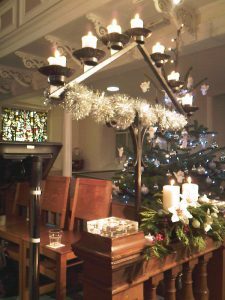 It was good to see members and Christmas visitors catching up in the happy hubbub of voices, mince pies and mulled wine in the hall afterwards.